Home > Pro-Kavanaugh shills claim nominee is the victim of a "lynching." Have they ever seen a lynching? An emerging right-wing media narrative that Supreme Court nominee Brett Kavanaugh is the victim of a “lynching” betrays not only conservative media’s desperation to salvage the nomination after he was credibly accused of sexual assault and likely perjured himself , but also their selfishness and superficiality when it comes to race relations in America. Attacking a sexual assault survivor with a reductive take on racial terrorism is, unfortunately, very on-brand for American conservatism in 2018. Fox’s Sean Hannity led the charge out of the gate; on September 17, the day after Ford went public , Hannity compared her allegations to the “vicious and horrible and nasty and unjust ” hearings about Anita Hill’s sexual harassment reports against Justice Clarence Thomas and aired a clip of Thomas’ infamous “high-tech lynching” line. The Thomas quote was favorably recalled by several  right-wing  media  figures , but they didn’t stop there: Several conservative and right-wing media figures took it upon themselves to make the comparison directly. On September 22, Fox’s Jeanine Pirro accused a guest  of “setting this man up for his own lynching.” Similarly, the Family Research Council’s William Boykin told Newsbusters  that he “thought lynching was made illegal and that the burden of proof rested upon the accuser, not the accused.” And Townhall published a piece  (from a Black author ) that audaciously began, “History is an easy and convenient thing to forget,” before comparing Kavanaugh to Emmett Till , a Black 14 year-old lynched in 1955 because of a white woman’s false groping allegation . Perhaps the most depraved take came from National Review Editor-in-Chief Rich Lowry, who seems to compare  Kavanaugh to the falsely accused in To Kill a Mockingbird, who is threatened with lynching. Lowry claims that a book famous for its themes of racial injustice  “stands firmly for the proposition that an accusation can be false.” Lowry’s column completely ignores race -- the word doesn’t make a single appearance -- so it’s easy for him to twist Mockingbird into pablum about a man’s false accuser being “destroy[ed]” by an attorney who “doesn’t care about her feelings, only the facts.” In the original story, that same attorney also faces down a racist lynch mob outside the jail, but Lowry’s revisionist history inverts a hundred years of racial terror into a narrative that somehow vindicates Kavanaugh at the expense of his alleged victims. This take has spread throughout  the right-wing Facebook echo chamber via a popular meme . 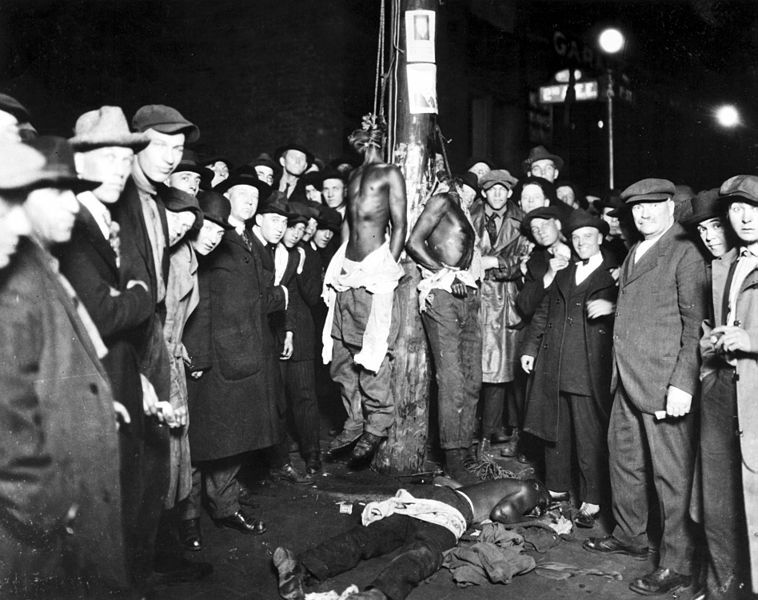 In case conservative media have forgotten, lynchings are a uniquely reprehensible (and ongoing ) part of American history. From 1882 to 1968, 4,743 people were lynched -- 72.7 percent of them Black -- for the express purpose of enforcing white supremacy . The victims were murdered in unspeakably horrific ways . 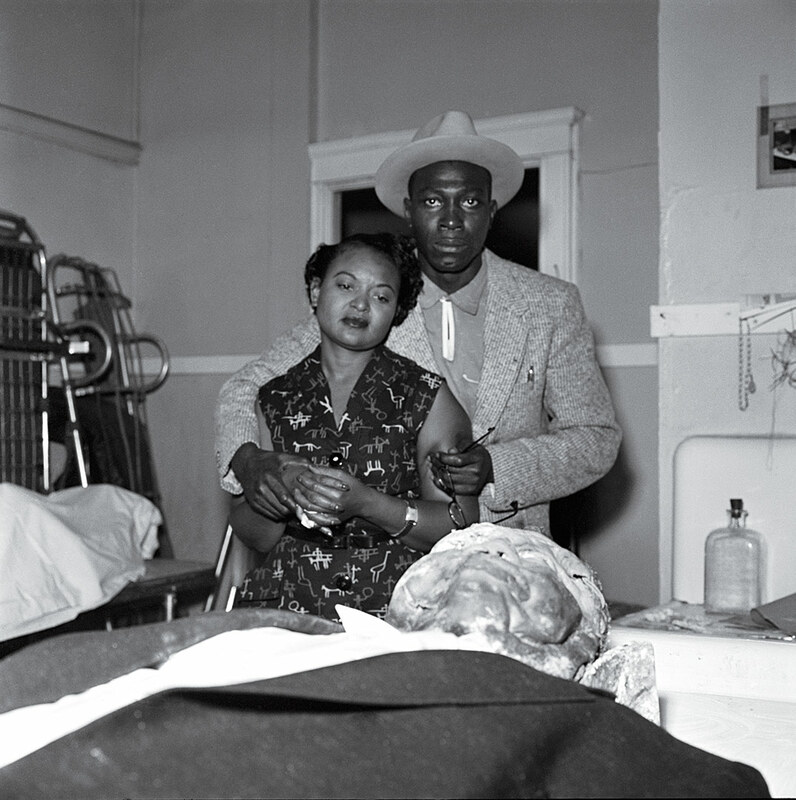 Emmett Till, whom the Townhall piece compared to Kavanaugh, was found in a river, weighted down with a piece of a cotton gin . His face was so mangled by his attackers that he was unrecognizable . A sign marking where Till was murdered is regularly shot up  by anonymous vandals. There’s also Mary Turner , a pregnant woman whose unborn child was cut from her womb and stomped to death (Turner was also set on fire  and shot hundreds of times ); Jesse Washington , who was doused in coal oil and hanged to death over burning crates, then carved into souvenirs and paraded around town; and Elias Clayton, Elmer Jackson, and Isaac McGhie , who were dragged out of jail, beaten, hanged, then turned into postcards . Kavanaugh, in contrast, is facing extreme public scrutiny as he interviews for a job at the highest court in land. And if he doesn't get it, he'll simply go back to his old cushy life as a federal judge. Right-wing media’s increasingly  racialized  Kavanaugh  coverage  is especially rich considering their routine denunciations of “the race card .” When conservative media say Kavanaugh is being lynched, they are playing "the race card" with blinders on; their arguments invoking an era of racial terrorism are completely devoid of any meaningful racial analysis. They’re defending a credibly accused sexual predator by first inventing, then weaponizing, an alternative history in which one of the most infamous acts of racial violence isn’t racial at all -- it’s simply about attacking people. It’s no coincidence that right-wing media deployed a racially charged accusation of “lynching” at the same time the conservative movement has embraced Dinesh D’Souza’s laughable , brazenly dishonest  version of American history in which the Democrats are “the real racists”  and the well-documented party realignment  around civil rights simply “did not take place .” The right’s attempts to put an accused sexual abuser on the Supreme Court -- after electing another one  to the presidency -- only serve to highlight the profound moral and intellectual rot at the heart of American conservatism.